Things just got underway at Sony Europe's IFA press conference, here in Germany. President of Sony Europe Fujio Nishida just took the stage, and is talking up Europe's strong percentage of sales for Sony worldwide. 10:14AM - He's talking up the rapid change in technology, which Sony needs to anticipate, the ease of entry to the market, which creates more competition, and the need for Sony to "stick to our strengths." Two pillars: "a razor sharp focus on the viewpoint of our customers." And leveraging Sony's innovation capabilities. 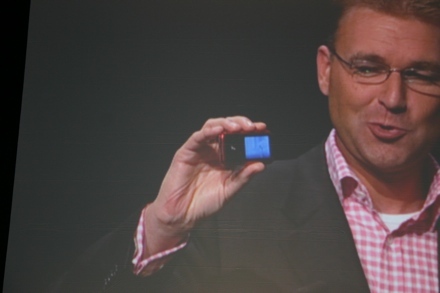 10:16AM - 75 percent of all Sony electronics products to be HD-compatible by March 2008. "From the lens to the living room." 10:20AM - Announcing the BDP-S300 and the BDP-S500 for Europe. 10:23AM - Europe version of the DSC-T200 for Europe, with full touchscreen and HD out. 10:25AM - Now we've got Jeffry van Ede, VP of Sony Europe, to talk about DAPs. 10:27AM - "WALKMAN goes OPEN." Yeah, he's not even kidding. "We have listened to our customers, who want choice." We keep waiting for him to yell out "gotcha!" but he's keeping a straight face. 10:31 - Supporting, WMA DRM, non-DRM AAC, MP3, and dropping ATRAC support. So hot. Transitioning away from the ATRAC format, and phasing out the Connect Store in 2008. 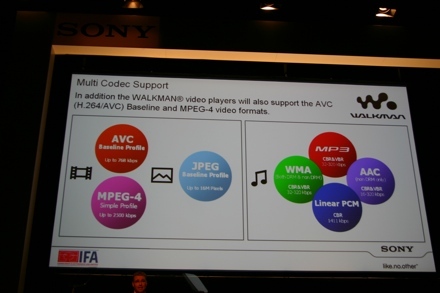 10:33 - Next-gen Sony Walkman player support WMP11. 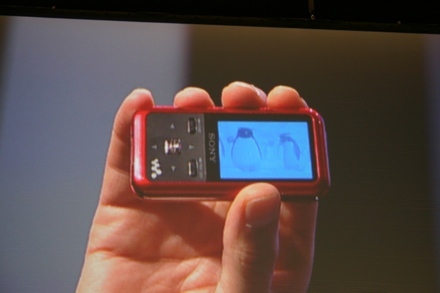 There's also drag & drop support, and later in the year they'll open up the PSP's Media Manager for the Walkman. 10:34 - New A-810 series supports the new platform, but is otherwise pretty much the A-800. The new S-series supports the same things as the A series, but in a smaller form factor. 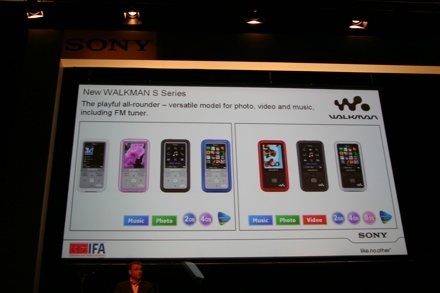 S-5 series offers photos and music, S-10 series supports video as well. All new players support PS3 and Sony's boomboxes for ripping and transferring tracks. 10:37 - And that's it! Stay tuned for a few more pictures of the OPEN madness.